LandCorp, Western Australias specialist land development agency, has commissioned ProDesign to offer event management and logistical support for various events including launches and corporate functions. Kevins broad experience in architectural lighting and outside events has been recognised by LandCorp and ProDesign has been consulted on a number of occasions. ProDesign was involved in several stages of the Mandurah Ocean Marina project, including coordinating staging and lighting requirements for the official handover of Stage I of the development, and the official opening of the pedestrian bridge within the marina. 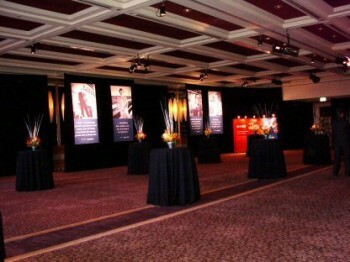 Kevin Harris has also coordinated lighting and staging requirements for several board cocktail parties and key stakeholder functions. Kevins professionalism and wealth of experience has ensured all of LandCorps events, no matter how large or small, have run smoothly and proficiently. ProDesigns reliability in delivering state-of-the-art technology and design has resulted in repeat custom from its clients.